Providing you the best range of school software development with effective & timely delivery. In today’s world, administration & management of organizations, particularly educational institutions, has become a tedious and complex task. There are various activities and curriculum tasks, which needs to handle with careful planning, to the point control of the administrative process and systematic approach to help students, their parents, teachers and even the management of the educational institution. 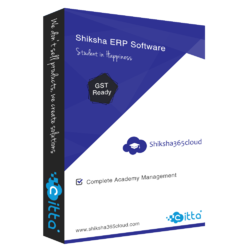 Shiksha365cloud - school management software is a powerful tool to manage all your administrative task with a single line integrated system.